Blog How to Reduce Washing Machine Noise With Anti Vibration Pads and Mats That Works! 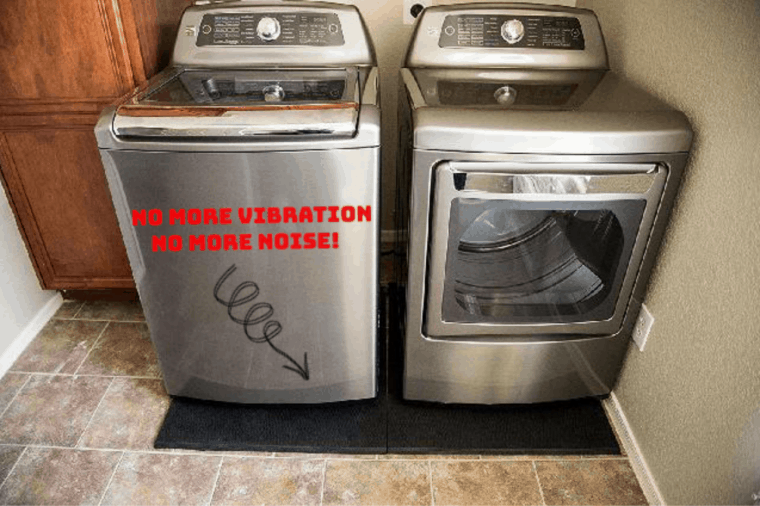 How to Reduce Washing Machine Noise With Anti Vibration Pads and Mats That Works! In this article, we will be showing you some easy and cost-effective ways to reduce washing machine noise. Washing machines can become noisy as they age. That can be due to many different reasons. Sometimes the motor or the tumbler will make the washing machine vibrate and noisy and can drive someone to the brink of madness. Well, maybe not to that extent but it can surely be annoying. One simple way you can reduce a noisy washing machine is by placing a washing machine anti-vibration pads or mats underneath to absorb the vibrations. Washing machines are notorious for producing a vibrational sound that travels into the floor joist and cavity and irritates the occupant’s bellow. You can simply place a washing machine anti-vibration pad or mat and should solve the vibration problem completely. What About the VibrationBloc For Washing Machine Vibration Reduction? Washer and Dryer anti-vibration pad. Washing machine anti-vibration mats are made from a one-inch rubber panel. Most of these mats are built from recycled car tires, so not only does it absorb vibration, but it is also good for the environment. The anti-vibration mat decouples the floor from the washer and will help absorb most of the vibration. We suggest that you lay them directly on the floor and then add a layer of wooden board on top of the mat. The wooden board will help support the legs or feet of the appliance and stop it from digging into the rubber. You can easily find a one-inch thick wooden board at your local hardware store. The washing machine anti-vibration mat is one-meter square and is very dense. They are resilient to moisture and easy to cut with a traditional saw or jigsaw. These types of bigger mats are also called anti-vibrations pads but usually when you see a product that has the word “pad” and not “mat” it usually means four individual pieces for each leg of the appliance. Click Here for Current Amazon Price. There are a few different washing machine anti-vibration pads on the market today. Most of these pads are cheap and can be difficult to know which one works as intended. These anti-vibration washer pads are engineered to absorb the damaging vibrations and reduce annoying noise. They could not be easier to install. Simply place anti-vibration pads on each corner of your washer or dryer, and you’re done. 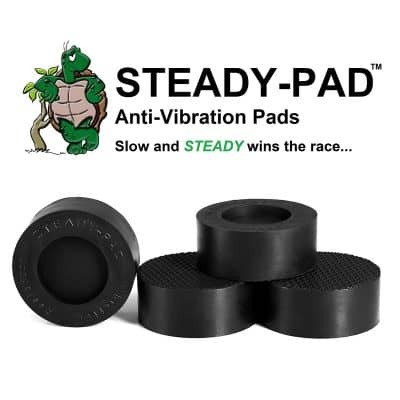 The only anti-vibration pads that I’ve used in the past was the “STEADY-PAD Anti-Vibration and Anti-Walk Washer and Dryer Pads”. You can buy them for under twenty dollars in most cases. 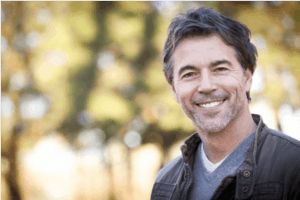 Click Here for the current price from Amazon. You can also buy cheaper versions for around five dollars, but after reading some reviews, I decided to stick with the Steady-Pad. When I had moved to my previous house, I had purchased a front-loading LG washing machine. The washer itself was exactly what my wife wanted, and it was working well. The only small problem we found was that it would shimmy across the floor when washing a small load. I first checked to make sure the leveling was correct, and it was. The problem wasn’t the washing machine itself; it was our linoleum floor that was too slippery to handle the washing machine spin cycle. We bought these little steady-pad hockey pucks, placed them under the feet of the washer and immediately washed some clothes. Not only did the vibration stop but it also reduced the noise. I don’t find that the steady pads lessen the washing machine noise as much as the full one inch thick anti-vibration mats, but at this price, it was indeed worth it. Click Here for current Amazon Price. I would strongly recommend using an appliance lifter when you need to lift your washer and dryer to place the pads underneath. If you’re older like my parents, these appliance lifters can be a back saver. 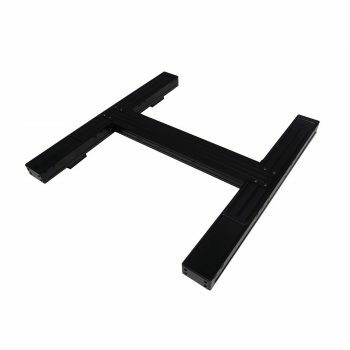 You can also use these lifters to lift all sorts of furniture when you want to move stuff around. DIY furniture lifting and moving tool. This is a handy little tool to have around. My parents are in their eighties and live alone, and once or twice a year they get some wild idea to rearrange the furniture in their house. An appliance lifter made it much easier for them. The little slides work like any other furniture slide; it’s the lifting tool that is the real gem here. If your washer and dryer are entirely flush to the ground on all sides, then you have to lift it just a little bit to slide the tool under it, but then it raises very easily. DIY furniture slider and moving tool. 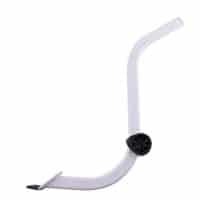 In the cases of most washer and dryer, they are not flush with the ground, so this lifting tool works great. 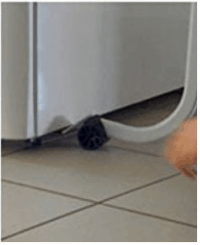 It’s not rocket science, but I wanted to mention it to the readers in case something like this would be of value to you while moving your washer and dryer around or to lift in a couple of inches off the ground. Click here for current Amazon Price. The VibrationBloc is something I stumbled on when I was researching different ways on how to reduce my washing machine vibrations. I could not find this product on Amazon (where I do most of my online shopping). VibrationBloc For Washing Machine Vibration Reduction. I went on a Reddit message board and specifically asked about this item, and someone told me that they initially bought the vibrationblock for a 29″ stacked washer/dryer combo. They claimed that it helped a small amount with reducing vibration (but not much, even carefully following all recommendations). The house still shook a lot when it was in use. The machine was almost too big for the stand, and the feet barely fit within the depressions for them. If you have a 27″ washer and want every last bit of vibration reduction, it might be worth it. For anyone else, it’s not worth the money. The negative thing I took from researching the vibrationblock was a video that I watched on Youtube from their company. The video is of a washing machine vibrating on all sorts of different anti-vibration products that didn’t work, and lastly, you see the vibration block completely stop the vibration. If you watch the video HERE, you will see what I mean. I don’t think the footage is very authentic and I think it might be a bit misleading after talking to several people that have used this product in the past. However, please let me know if you have the vibrationblock and what you think of it, you might change my mind. After researching and trying a couple of different washing machine anti-vibration products to reduce the washing machine noise; I have to say that my favorite one is the full square anti-vibration mat. If you have a smaller budget, the Steady Pad is another good choice. I would skip the vibrationblock. I find the vibration block a bit too gimmicky and high tech to fix such a low tech problem. Please leave a comment below if you use any of these product or any other anti-vibration products that you beleive work better than the ones Ive suggested.